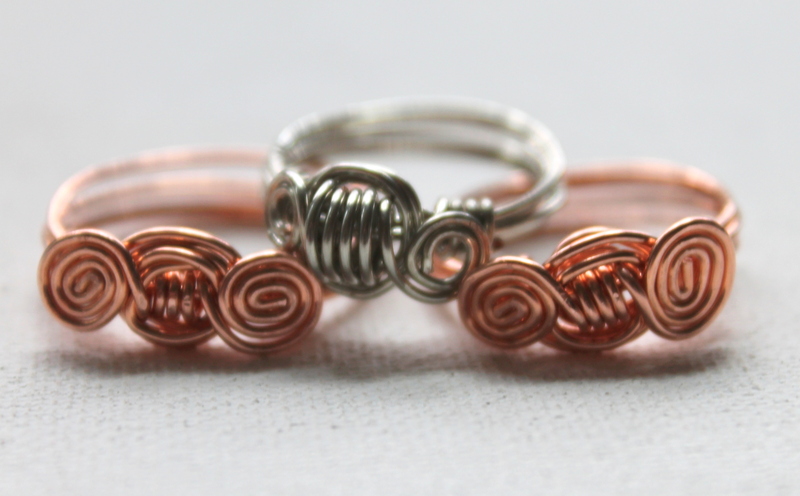 Learn how to make a beautiful and unique spiral ring with wire. I’ll take you step by step through the process. This ring looks complicated, but when you take it step by step it’s easier. This ring is for advanced beginners to intermediate jewelry makers. If you are just starting jewelry making, check out my free 14 day Introduction to Jewelry Making eCourse. You’ll need 20 gauge half hard wire (any metal is fine) and some tools: wire cutters, chain nose pliers, serrated (with teeth) chain nose pliers, round nose pliers and a ring mandrel. Click add to cart and the file will be emailed to you in PDF form immediately. You’ll get a PDF with step-by-step photo and written instructions. Spiral Wire Ring Digital Tutorial PDF.